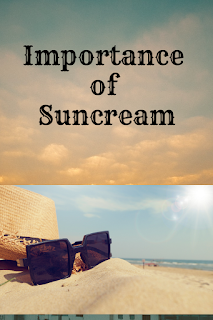 As Summer is here, we should all know the importance of suncream. 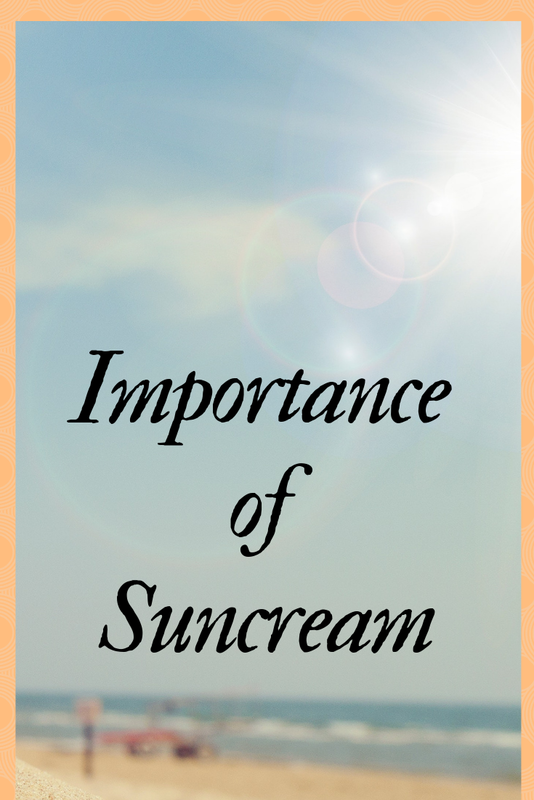 In my opinion, sun cream is a must-have product in our daily life. We don't only need to apply sun cream in summer but we should apply moisturiser having at least SPF 30 daily in all weather. 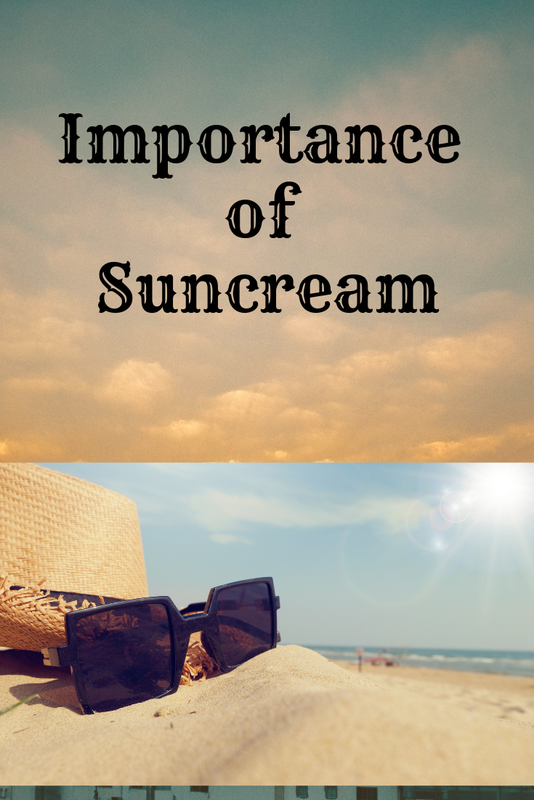 Now I am going to write about its advantages and why we should apply sun cream before going out especially on hot sunny days. Sun UV rays are harmful to our bodies, especially for skin and hair. Sun cream shields our skin from the harmful rays which are caused by depleting the ozone layer. We also know that Sun rays are vital for vitamin D and it's very important to absorb sun rays in our bodies especially in colder countries where you don't see sun often in winter. Sun rays are good for bones and by applying sun cream it prevents harmful rays to enter in your body. Sun harmful rays can cause skin cancer. 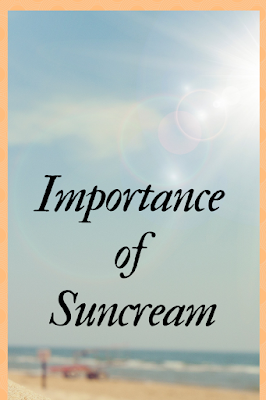 Some skin cancers are life threating, therefore, shielding your body from direct sun rays is necessary. When going out on hot sunny days, you shouldn't only apply sun cream but also wear hats and cover your body with suitable clothing and avoid prolonged exposure to sunlight. If you don't protect your skin from harmful sun rays then it'll cause premature ageing. You start noticing fine lines and wrinkles in your early 30's which can be easily delayed by using sun cream. Mostly skin around your mouth and eyes show a sign of premature ageing and nobody wants to look old, we all want beautiful young and soft skin. So why don't we make it a part of our daily routine? Prolonged exposure to sun rays damage skin and give it sunburn. A weak skin can easily prone to acne, black spots, skin rashes, dull skin and blemishes. Shielding your exposed body to suncream improves your skin health. I tried several moisturisers but the one that suits me most is Lancome-Hydra Zen SPF 30. I use this moisturiser on daily basis. You can even use this cream in winter. It makes your skin smooth and shiny. You can see a difference just after a few applications. It's a bit expensive but worth to buy. If you have to go out on a hot sunny day and you can prone to sunburn then use Garnier suncream SPF 50. It has a reasonable price and best for summer outdoor use. Garnier Spray is very easy to apply and has a good effect. You can quickly apply it on your body and it doesn't leave any white residue on your skin.